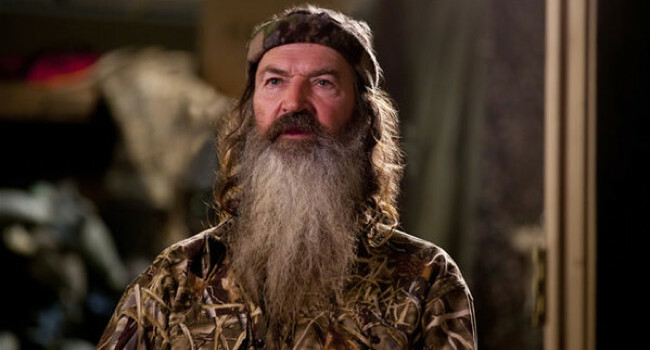 Phil Roberston, better known as “The Duck Commander” is the patriarch of the Robertson family, featured on A&E’s reality TV show, Duck Dynasty. Phil is so devoted to his craft of making duck calls that he even gave up a chance to play in the NFL because it interfered with duck season. With gems such as “She may be an ugly woman but she if cooks squirrel and dumplins, that’s the woman you go after”, who can resist watching to see what he’ll say next.